Tāmaki College marked Senior Prizegiving on Monday 6 November, with a colourful and enthusiastic celebration of student achievement. We were able to acknowledge the hard work of our senior students and congratulate them on their success. We were fortunate to have a distinguished guest speaker for Prizegiving, the Honourable Justice Christian Whata – a Judge of the High Court of New Zealand. Justice Whata delivered an outstanding address which provided a good deal for students and everyone else present to think about and reflect upon. 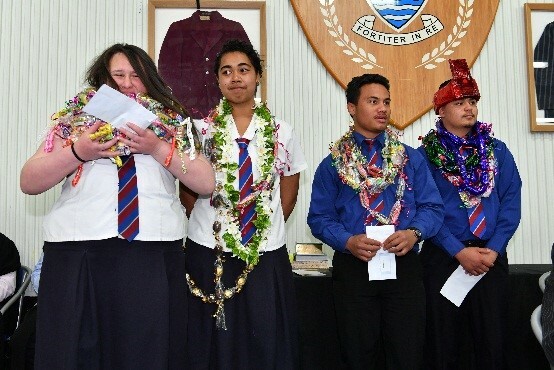 As usual, our talented students contributed several musical items, demonstrating the all-around talent of Tāmaki College students. 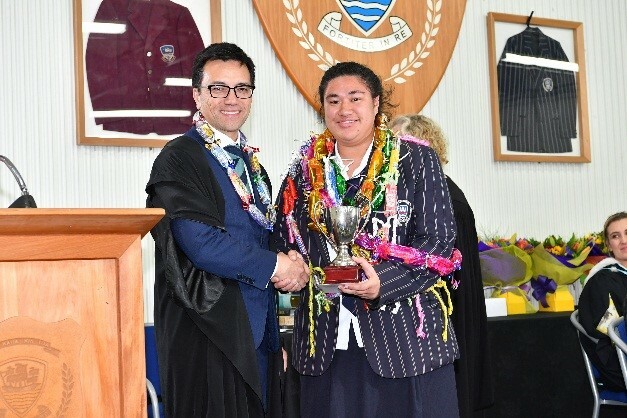 We congratulate all prize winners, and particularly acknowledge the recipients of our highest awards: Sinola Falefoou (Dux and the Barry Rothery Scholarship) and Mino Pamaka (Proxime Accessit and the Mt Wellington Charitable Trust Scholarship). As is traditional, the Head Prefects for 2018 were announced at Prizegiving also, and we congratulate them on their appointments. Sharon Iose (Head Girl), Patrick Peihopa (Head Boy), Salome Wara (Deputy Head Girl) and Reinan Garcia (Deputy Head Boy). 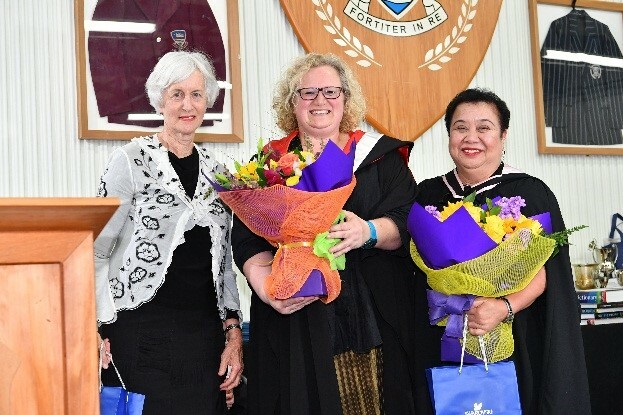 We also had the opportunity to mark the significant milestone of 30 years’ service to Tāmaki College of our two most long-standing staff members, Science Teacher Gene Smallwood and Principal’s PA Glynis Margetts.